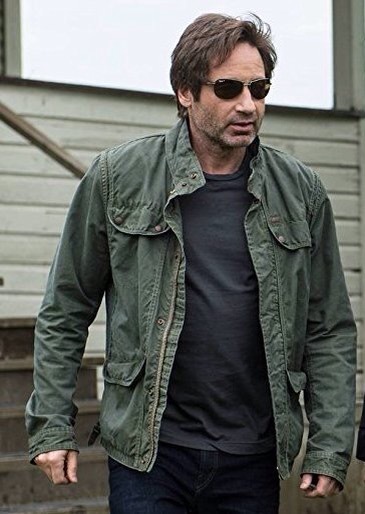 “Hard to Kill” might have been a subtitle of the second installment of the new limited X-Files season as Fox Mulder and Dana Scully eluded and thwarted deadly Soviet operatives when guided themselves by the artificial intelligence version of a deceased Lone Gunman who sought to be unplugged, Richard Langly (aka Ringo). I like how the series has kept its paranormal core while expanding the two central characters into almost action-heroes. I mean, when armed with only handguns against a legion of Soviets with automatic weapons who attacked them at home they killed two Soviets outright, and not only eluded death but despite being handcuffed together managed to escape! These are two smart, savvy, and tough FBI agents who could probably be featured on recruitment posters for the agency. The episode expanded upon real-life events, too, with the enigmatic Skinner referencing how the current administration in Washington didn’t like the FBI much, and had even been infiltrated by Soviets. The notion of uploading an individual’s life experiences and general personality attributes to a computer program to simulate that person in life is within the fringes of a possible future reality, and may someday provide a kind of worldly immortality while allowing relatives to interact with a version of a departed loved one without requiring the downside of a zombie…I want to believe! — And hooray for the FBI and two of its coolest agents!